Welcome to the Friday PhotoEssay! I was tempted to do an entire photoessay showing everything in the Demonstration Garden that is infested with spider mites. However, I figured that you have enough problems of your own, without me heaping depressing pictures on you. So, I scouted out some more uplifting pictures! 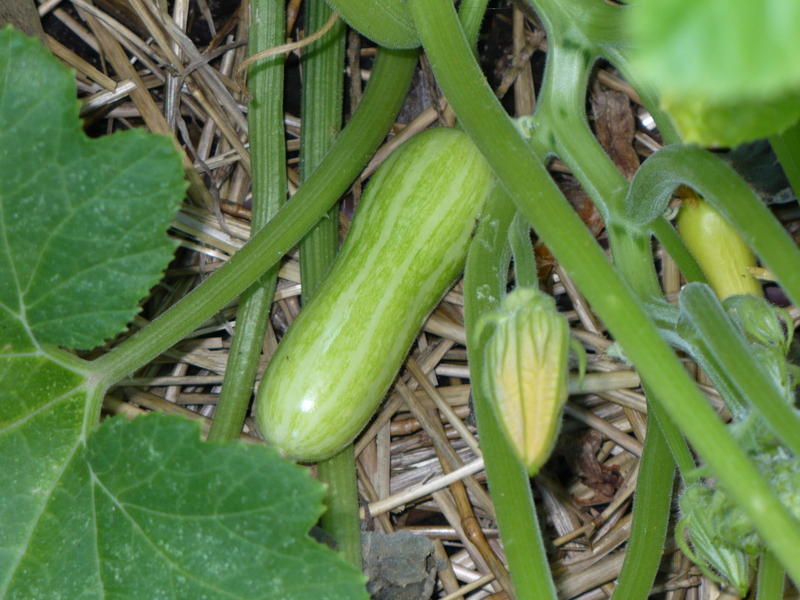 This Bush Delicata squash in the Family of 4 Garden has its first baby squash! Mmm…I can taste the butter and brown sugar already…That’s what winter squash is for, right? A ha! 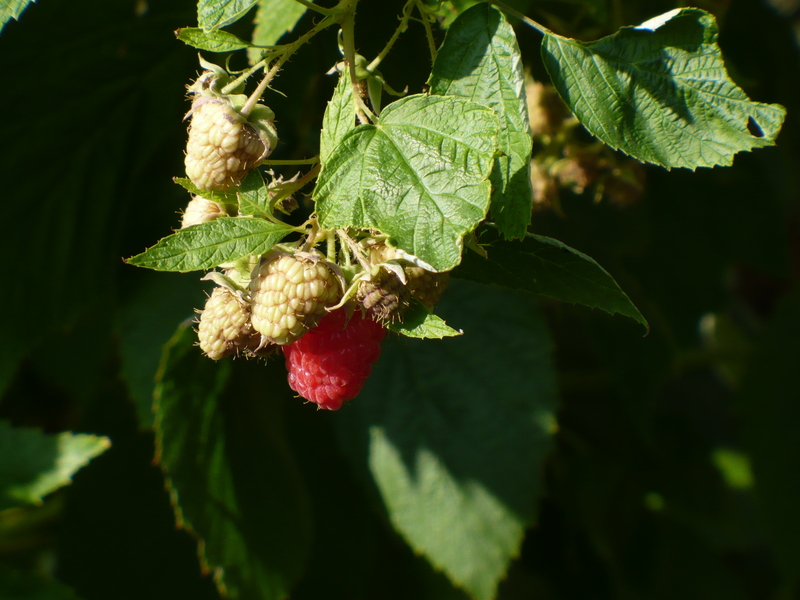 There’s a raspberry that the robins haven’t discovered and scarfed down yet! 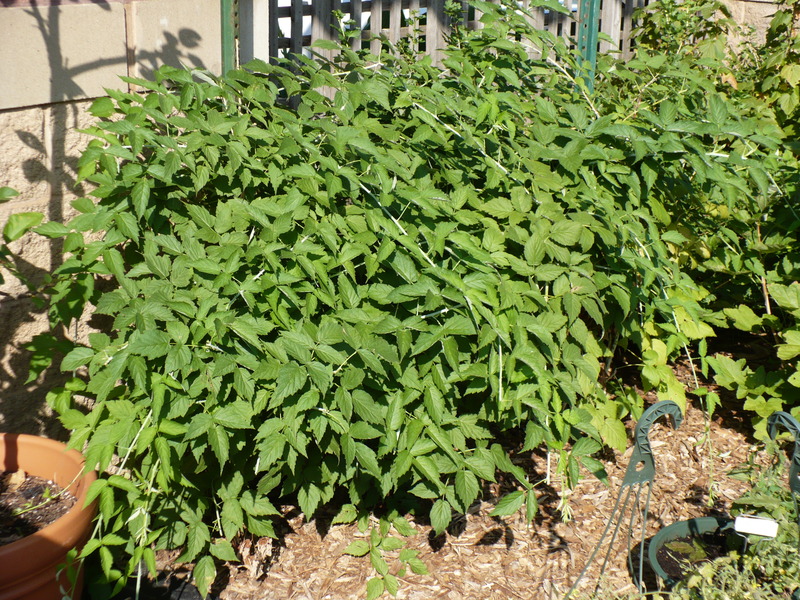 I can’t believe how vigorous this black raspberry plant is! The branches were hitting the ground and beginning to root last week, so we pruned them back. They are almost grown back to the ground again! We had better get lots of berries next year, or else this plant is going to be a goner. 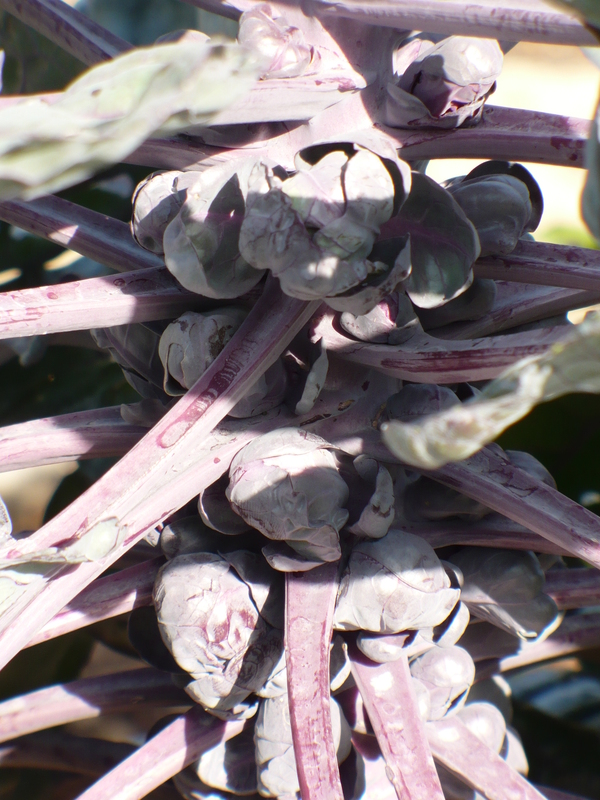 The purple Brussels Sprouts are starting to produce. They aren’t quite ready to pick yet, but the plants are beautiful! 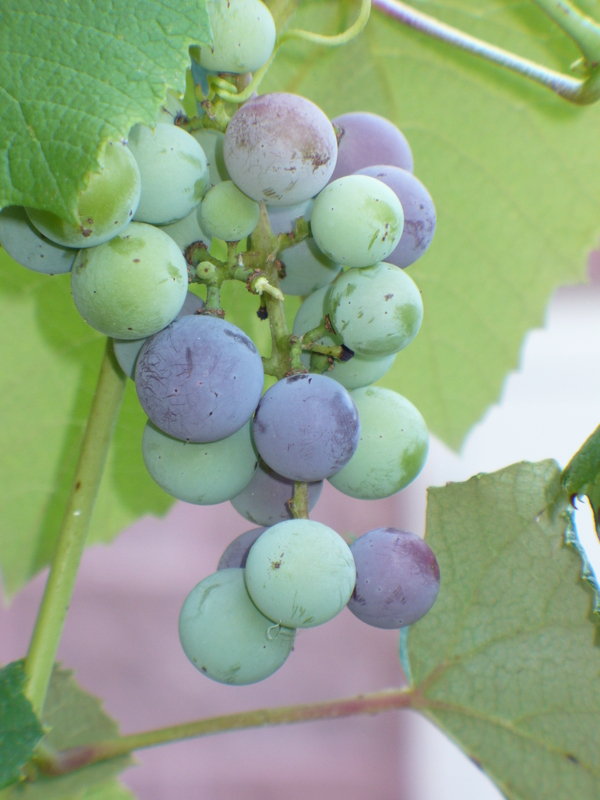 The Concord grapes are starting to ripen. I guess I shouldn’t have picked the ripe one out of the middle of the cluster before taking the picture, huh? I’m as bad as a robin! 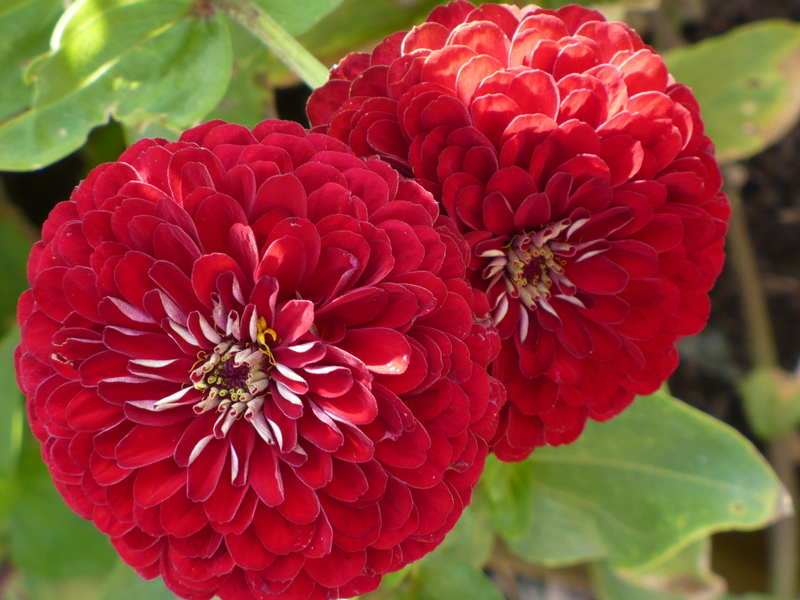 These Benary’s Giant zinnias are beautiful, showy flowers! Posted on August 7, 2009, in PhotoEssays. Bookmark the permalink. Leave a comment.